"Maïr Verthuy is a passeuse de culture — a cultural transmitter," says film director Hejer Charf. 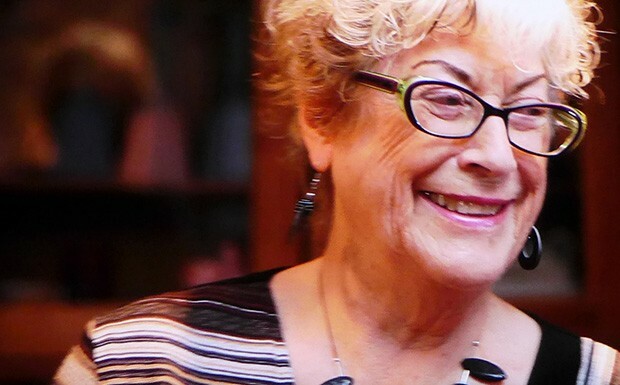 Verthuy, a retired professor and the inaugural principal of Concordia's Simone de Beauvoir Institute, has dedicated her professional life to carving out a place for the female literary voice. She offered the first course at any university on Quebec women writers, published the first bibliography of Quebec feminist authors and introduced her students to the prose of legions of unheralded, unstudied immigrants. Charf's new documentary Autour de Maïr — set to premiere on Saturday, September 5, at the Festival des Films du Monde de Montréal — explores the Welsh-born academic’s impact on the world of letters, via interviews with her friends, family, colleagues and research subjects. "It’s really a film about women in writing," Cherf says. "It shows the extent of what she has passed on to others." When Verthuy was hired to teach the history of French literature at Sir George Williams University, one of Concordia's two founding institutions, in 1966, she quickly realized that very few female authors were included in any contemporary syllabus. "They didn’t teach about women at all! At all! I was stunned by that," Verthuy said in an interview in 2012, when she was named a Member of the Order of Canada. "So I spent a lot of time introducing women into courses like the History of French Literature — making sure women had their place." In 1978, Verthuy became the principal of Concordia’s new Simone de Beauvoir Institute, which she helped to establish as a centre for action, interdisciplinary teaching and the production of knowledge about women's lives. Five years later, she organized the first worldwide conference on "Teaching and Research Related to Women." It was work such as this that made her the cinematic ideal subject, Charf says. "It moved me, and I felt like I was doing the right thing, making the film about Maïr." This week, Autour de Maïr sees its official world premiere at the Festival des Films du Monde de Montréal. It is screening in Cinéma Cineplex Odeon Quartier Latin at 6:30 p.m. on Saturday, September 5, and at noon on Sunday, September 6.